Risk appetite is gradually improving throughout the morning in Europe and the US is following in its lead with futures comfortably higher ahead of the open on Wall Street. I’m still far from confident that we’re through the other side of this particular storm and the coming week could be just as turbulent as the ones that preceded it, but a positive start will come as a relief to investors. If we can get through the first few days – or even a full week – without a major down day, then investors may slowly start to come around to the idea that the worst has passed, with the and NASDAQ having already entered into correction territory and the not far behind. With a week to go until the midterms, more than a quarter of S&P 500 companies reporting and a number of notable data points to come – including the jobs report on Friday and inflation, income and spending today – I don’t see this week lacking more volatility. Today’s inflation numbers will be of particular interest ahead of next week’s Fed meeting, coming against the backdrop of an unstable market and policy makers that seem determined to persevere with rate hikes. The return of risk appetite has taken the edge off Gold which has pulled a little away from its recent highs. 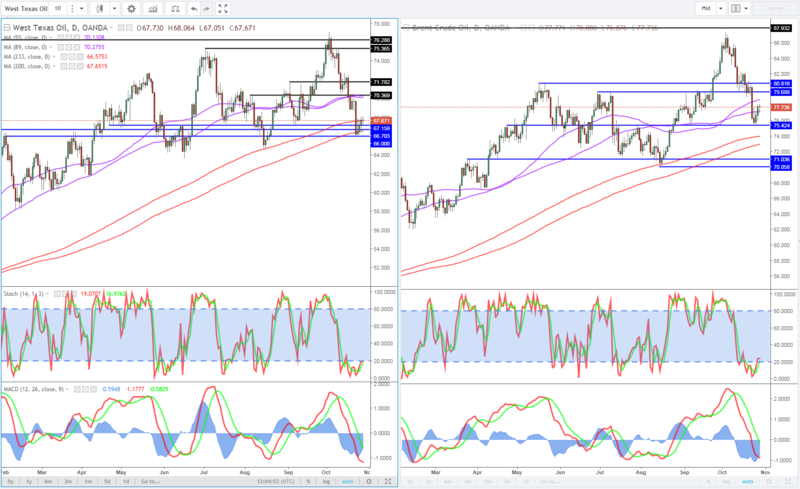 Bullish momentum did appear to be gradually slipping away in recent days so perhaps we’re now seeing a little bit of a corrective move in the yellow metal, although that will only last as long as US markets hold up. As we’ve seen in recent months, appetite for Gold spiked when the US market gave way and I see no reason to think it will be any different in the coming weeks. Oil on the other hand is not benefiting from improved sentiment in the market, with and both posting losses of around 0.5% on the day. I wonder whether the declines here are linked to the underperformance we saw in Chinese stocks overnight on the back of data that showed profits at industrial firms slowed for a fifth month. The impact of tariffs is gradually showing up in the data and this may be lowering people’s growth outlook for the country and weighing on demand expectations. Europe is never too far away from the spotlight and this morning it’s Germany rather than Italy that’s hitting the headlines. 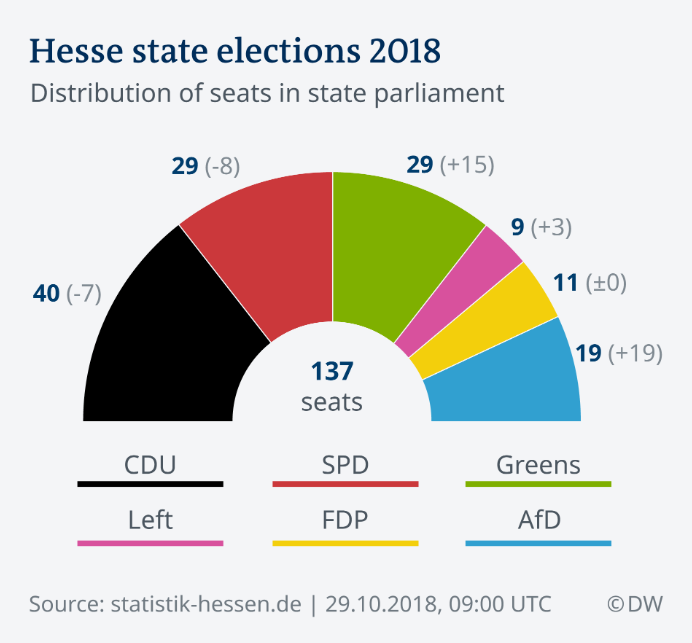 A poor showing by the CDU and SPD in regional elections in Hesse has proven to be the straw that breaks the camel’s back for Merkel, who is reported to have told lawmakers that she doesn’t intend to run for party Chairwoman again in December, laying the groundwork for her to be replaced as Chancellor, maybe in the not-too distant future. 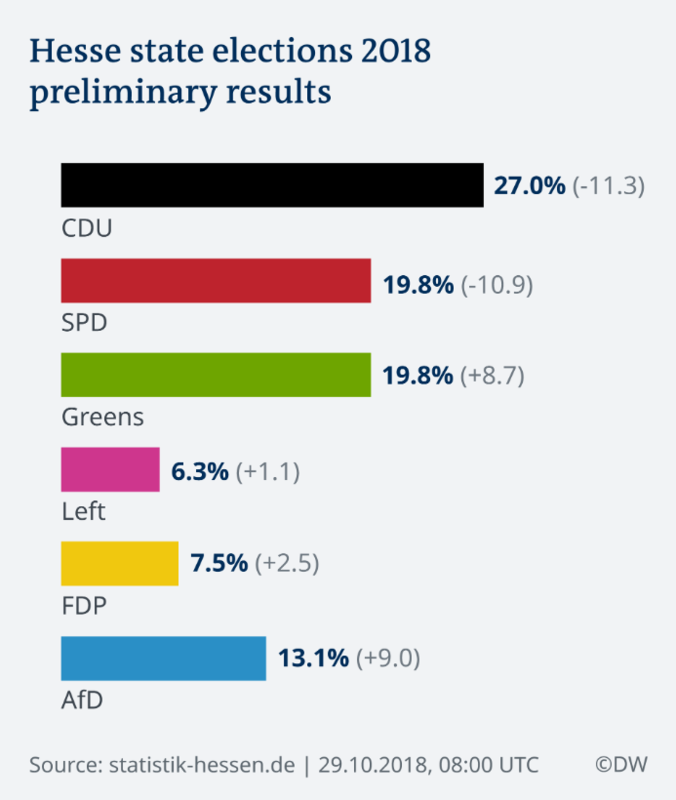 Merkel has been a stabilising force for the eurozone throughout the last decade but her popularity and that of her party or any party that associates with it has been plummeting, giving rise to the far right AfD. The rather muted reaction in the markets possibly reflects the position Merkel finds herself in. In years gone by, this would have been seen as a major political casualty but in the current environment of rising populism, Merkel’s handling of the refugee crisis – no matter how admirable – is now harming her party. A new face may help to stem the bleeding.